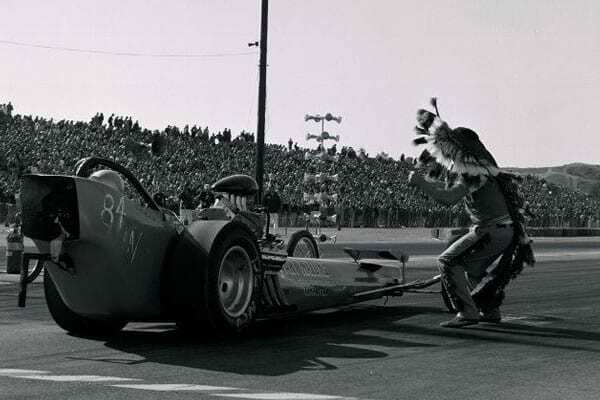 For those of you who may have attended NHRA drag races in the 60s and 70s, or watched old footage, you may have remembered the “Canadian Indian” performing his no-rain dance before each event. 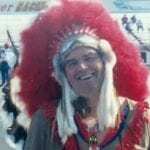 The Canadian Indian is named Bob Beezer, or known as Beez, by his friends. Beezer was a member of the “Peaceful Pacers,” from Ontario, Canada during the late 1950s who would often attend Detroit area drag facilities. 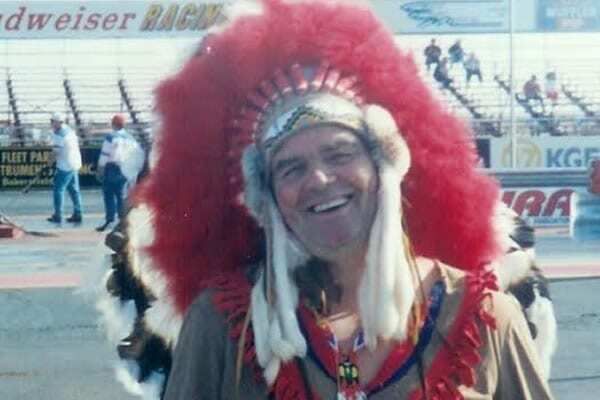 During the Peaceful Pacers attendance, local drag racers from the Detroit area would refer to the Canadian Drag Racers as “a bunch of Indians.” Beezer wanting to live up to the perception decided to dress up as an “Indian” just to cause a little ruckus in the Detroit drag racing scene. 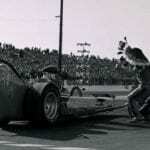 Beezer was subsequently hired to perform his no-rain dance before each NHRA event and became a staple at NHRA events for years. In the 1980s, Beezer was also the owner and driver of the “1st Gasser”. Known as “’the Canadian Indian 41 Willy’s”, the car was built by S&W and ran a blown/injected Donovan. Beezer donated his dress to the NHRA Museum. 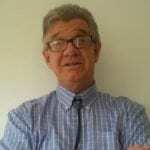 However, it was never put on display as to not offend individuals or groups in society. Three years ago, Beezer restored the dress to its original glamour. Today, Beezer can be found once again attending NHRA events on the west coast, performing his colourful rain dance, ensuring it won’t rain. Those who have had the privilege of meeting Beezer say he is your everyday “next door neighbour” with an unforgettable colourful character.